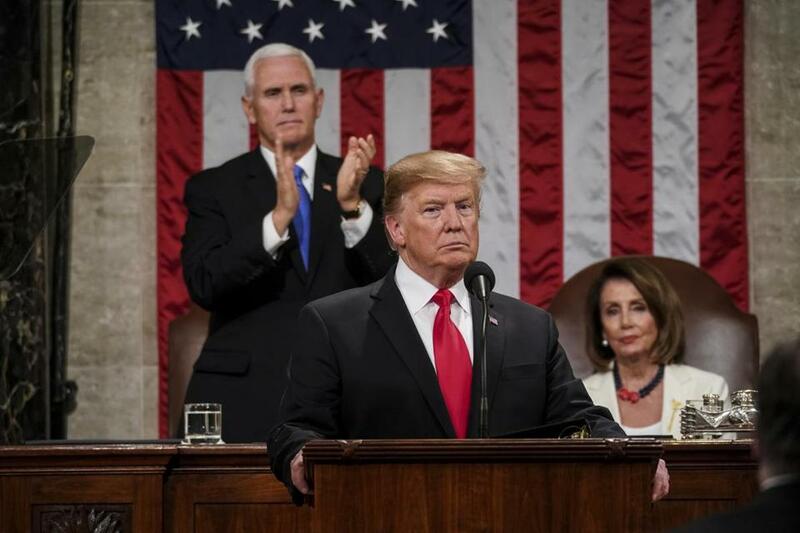 President Trump gives his State of the Union address to a joint session of Congress on Tuesday at the Capitol in Washington, as Vice President Mike Pence and House Speaker Nancy Pelosi look on. They are a reminder that a) no matter the excess or outrage President Trump sparks, it will have no effect on how his supporters perceive him and b) nothing the president says actually matters. When you have a president who lies constantly, changes policies on a whim, and whose word is largely worthless, how can anyone take what he says seriously? For all the gauzy pomp and circumstance — and empty rhetorical appeals to American ideals — Trump’s State of the Union speech Tuesday night was yet another “nothing matters” moment. This comes down to a question of separation of powers, not immigration policy. Not only has Trump created fresh political stalemates, enflamed old divisions, opened new wounds, offered no novel solutions to America’s problems, and systematically undermined the promise of America, but the only coalitions he has created are among those who oppose him. A president who days ago, in an e-mail to supporters, accused Democrats of “UN-AMERICAN” behavior in opposing his border wall, played the same cards on Tuesday night, as he trotted out his same tired and already rejected talking points on immigration. He said “the lawless state of our Southern border is a threat to the safety, security, and financial well-being of all Americans. I can think of not one politician — rich or poor — who supports open borders. It is yet another canard peddled by an administration intent on demonizing anyone who doesn’t share its retrograde views on immigration. Most pernicious of all, Trump did that racist thing where he highlights isolated crimes committed by undocumented immigrants to tar all immigrants as dangers to society. 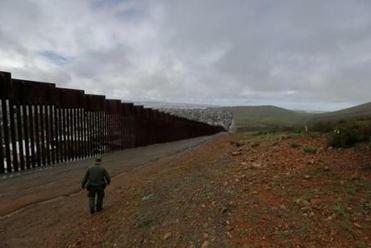 Nothing in the president’s remarks gave any indication that he will relent on his precious border wall or offer Democrats an olive branch that will make a compromise on immigration possible. When Trump wasn’t busy fear-mongering about immigration, he was again demonstrating his persistent inability to tell the truth. He lied about the number of Americans who are no longer using food stamps. that have been cut, and the growth of the US economy. He falsely accused “the governor of Virginia” of saying “he would execute a baby after birth.” He took credit for improvements in US energy production that pre-date his presidency. He asserted, without evidence, that if he wasn’t president, the United States would be at war with North Korea. Four and a half months later, he met North Korean leader Kim Jong-Un in Singapore, called him “terrific,” and said the two men had fallen in love. The dissonance was even more evident when it came to the Islamic State. Want to take a guess how that pledge will turn out this year? At the end of the day, Trump’s second State of the Union wasn’t much different from the first one and is even harder to differentiate from his daily pronouncements on Twitter or at press conferences.